Turn raw footage into flawless productions with Premiere Pro CC, the industry-leading video editing software. Whether you're just starting out or a seasoned pro, you can edit, adjust color, refine audio, and more — all in one seamless, integrated workflow. Each curve offers two axes with paired values, such as Hue versus Hue, or Luma versus Saturation, so you can fine-tune colors with ease and accuracy. For more information, see Adjust color using color correction curves. To display accurate colors on any system, enable Display Color Management. It automatically converts colors to the color space of your display (including Rec. 709, Rec. 2020, and P3). In the past, it was necessary to manually set your OS display profile to be sure that you were seeing accurate colors, and sometimes it was not possible. Display color management takes the guesswork and displays correct colors no matter what ICC profile your display is set to in the operating system. For more information on enabling or disabling color management, see Set general preferences. Note: This feature requires GPU acceleration. In the Lumetri Color panel, you can now have multiple effects or layers stacked. After you create a new Lumetri color effect, you can rename it, add more layers, or subtract layers. You can now easily select which instance of Lumetri you want to work on in the Lumetri panel. You can also add, subtract, and delete specific Lumetri instances using the same dropdown. For more information, see Create and edit multiple Lumetri instances. When you want to take editing to the next level, you can open native Premiere Rush projects in Premiere Pro and continue to edit them in Premiere Pro. Note: If you have a single app Premiere Pro subscription, Rush is available bundled with it. Instantly improve your audio by removing background noise or reverb. The new Reduce Noise and Reduce Reverb sliders in the Essential Sound panel let you dial down, or remove, background noise and reverb. These options are also available as effects (DeNoise and DeReverb) in the Effects panel. You can apply them to your audio track and then control the intensity of the effect using the Effect Controls panel. Vector motion controls reduce pixelation and eliminate render bounds. To transform layers of the graphics, and adjust and set keyframes directly, use the vector motion controls in the Effects Control panel. When you edit graphics using the vector motion controls, they are retained as vector graphics preventing pixelation. For more information, see Edit and transform vector graphics. In Premiere Pro, you can now add your own spreadsheet to a data-driven After Effects Motion Graphic template (MOGRT) and drive the animation or make changes to the data in the MOGRT. In earlier releases, you had to make a lot of tedious changes manually. For example, if you wanted to change the numbers in a chart for all months, January-December, you had to change 12 values manually. Now, if you have the data in a spreadsheet, you can simply map the spreadsheet to the MOGRT and all values are updated automatically. For more information, see Create data-driven Motion Graphics templates. You can now edit source text properties in Motion Graphics templates (if they are enabled for editing by the author in After Effects). For more information, see Customize your Motion Graphics template. Note: This is applicable for Motion Graphics templates created using After Effects CC versions 16.0 or later. You can now change the duration of a Motion Graphics template in Premiere Pro while maintaining the animations. You can now search and sort cinematic footage and professionally designed Motion Graphics templates more efficiently with the pagination improvements in the Essential Graphics panel. For more information, see Search Adobe Stock for Motion Graphics templates using the Essential Graphics panel. You can create 180VR video with optimized ingest, editorial, and effects, for otoscopic and stereoscopic content that puts your audience right in the middle of the action. You can also output finished videos in the Google VR180 format for YouTube, Facebook, or other platforms. For more information, see Edit and publish VR videos. You can now place spatial markers on your media while wearing your HMD (Head Mounted Display). In earlier versions of Premiere Pro, it required you to remove your headset to add markers. For more information, see Add and edit spatial markers. Theater Mode gives you a new portable reference monitor within the Adobe Immersive Environment. This mode acts as a virtual screening room for collaborating with your director or producer, whether for 2D or immersive content, or a combination of both. When you try to view footage with Adobe Immersive Environment (AIE) active, you now enter a virtual room with a monitor ahead of you that represents something like a home theater experience. Adobe Immersive Environment automatically switches to this "theater mode" when the Source or Program Monitor encounters traditional 2D, non-immersive footage. For more information, see Set up and use Head Mounted Display for immersive video in Premiere Pro. You can now invite collaborators to your team project using groups that are synced from your organization's directory (for enterprise users). You can also invite others to collaborate on your team project by inviting a group instead of typing individual email addresses. For more information, see Inviting collaborators to join a team project. Click drag-and-drop multiple asset types such as AI, PSD, and other file formats into the CC Libraries panel. Share your Libraries and Library assets among team members. Export your Libraries and store them with the rest of your assets upon completing a project, knowing that the Library can be restored if needed. Decode support for ARRI Alexa LF media. Decode support for Sony Venice X-OCN V2 media including anamorphic sources. High-Efficiency Image Format (HEIF) capture format used by iPhone 8 and iPhone X (macOS 10.13.4 and later). Updated to the latest RED SDK (RED SDK 7.0.8), which includes performance and stability improvements. Premiere Pro now supports the Australian OP4T2 closed captioning standard. Hardware-based decoding for H264 and native HEVC provides better performance for those formats and faster rendering. Improved image processing provides more responsive playback, rendering, and Lumetri Color performance. Open a wide range of tutorials to help you quickly learn the basic workflows, and more advanced tips and tricks. Create a project or open an existing project. A new option Auto-Save also saves the current project(s) has been added to the AutoSave preferences panel. When you enable this option, Auto Save creates an archived copy of one or more current projects, but also saves the current working project. This setting is off by default. Autosaved versions have a suffix with the date and time it was saved (yy-mm-dd-hh-mm-ss) appended to the project name (for example, ProjectName-2018-08-31_09-53-41.prproj). When an auto-save occurs, Premiere Pro creates a new backup project file and adds it to the auto-save folder as an emergency project backup. This file is always the latest saved version of that project. For more information on auto-save preferences, see Set Auto Save preferences. Premiere Pro now shows a confirmation dialog if you delete preferences using the Alt or Opt keys at launch. You can now use shorthand substitutes when you enter timecode values (for example, a period instead of two zeros). You no longer have to type the zeros manually. For more information, see Use shorthand substitutes while entering timecode. You can now delete clip markers on clips in the sequence without having to load them back into the Source monitor first to delete. For more information, see Delete markers. You can now press the Esc key to deselect anything that is selected in the Timeline. Label colors now remain visible when video clips are selected. Adobe Premiere Pro CC has a scalable architecture, so performance scales with the speed of your system. The minimum system requirements for your workflow depend on the type of content you plan to work with. See the system requirements for Adobe Premiere Pro CC. With native 64-bit support, Adobe Premiere Pro can take advantage of all the available RAM on your system. For multicore systems, Adobe recommends 4GB or more of RAM per core. On any system, you will see substantial performance gains as you add more RAM. 16GB of RAM is a good baseline if you plan to run multiple applications simultaneously. Plus the Adobe Mercury Transmit plug-in enables tighter integration with third-party I/O hardware. Your computer must meet the minimum technical specifications outlined below to run and use Adobe Premiere Pro CC. i The latest version of Creative Cloud apps do not support some older versions of Windows and Mac. Learn more. Intel® Intel 6thGen or newer CPU. Support for ProRes HDR footage for accurate import of Rec2020 and PQ/HLG color information from HDR media in ProRes containers. Fixed: Crash when a team project is opened in After Effects that contains a Premiere Pro sequence. Fixed: Intermittent crashes when updating comp edited in After Effects. Fixed: Crash when changing audio channels on merged clips and loading into the source panel. Fixed: Playhead hangs for ripple trim in trim mode with transmit and second monitor attached. Fixed: Import of AVCHD files outside of spanned folder results in period of not responding and audio conform error (Mac only). Fixed: Creating edits for files modified from the Essential Sound — changes could trigger a crash. Fixed: Crashing issue with late-model Intel CPUs with the Lumetri Scopes panel (Windows 7). Fixed: Crash when untrimming audio clip accidentally overlapped in imported Audition mixdown. Fixed: Closing Premiere after queueing a render could cause Adobe Media Encoder to crash. Fixed: Issue with pasting a merged clip to another project. Fixed: Merged clips can now be opened as sequences. Fixed: Issue with deleting search bin containing merged clips. Fixed: Issue with modified audio channels in Merge Clips. 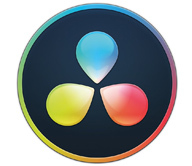 Fixed: Issues with audio/video file importing, including H.264 AV (Mac OSX 10.11) and ProRes. Fixed: QuickTime files with Alpha Channel flickers during playback in Mac OS X High Sierra. Fixed: Import issue with some Elgato CFR, DNxHD OP Atom MXF, and DJI HEVC files. Fixed: Error rendering with XDCAM sources in an MXF wrapper. Fixed: SLog-3, the colors now match Sony RAW Viewer. Fixed: Color shift issue with Cinema DNG file shot from DJI INSPIRE ZENMUSE X5R. Fixed: Some QuickTime-wrapped XDCAMHD 422 files are offline on Mac OSX 10.11. Fixed: iPhone H.264 .mov files captured via “Moments” import as audio only. Fixed: Issues with Sequence Markers in Source Monitor, and marker behavior between Timeline and Source Monitor, including multicam sequences. Fixed: Marker issues when duplicating a clip or moving clips from or to a new project. Fixed: Project Panel search bin is dimmed and is not enabled. Fixed: Project location switches to the temp directory when dragging sequences from Premiere Pro to Adobe Media Encoder. Fixed: Duplication issues when moving clips and folders. Fixed: Issues with project and media files between Windows to MacOS. Fixed: Issues with custom track colors when moved between projects. Fixed: Issues with Reveal in Project behaviors. Fixed: Open Captions decoding missing from decode list. Fixed: Incorrect positioning for imported EBU stl file with open subtitles. Fixed: Closed caption STL issues with currency signs. Fixed: Export caption XML uses non-specification conforming tags. Fixed: Issues with creation and revision dates for Exported STL sidecar files. Fixed: Crash when user clicked “+” button on the Captions pane when all existed sub-captions are cleared by “-” button. Fixed: Issue where creating project after saving a previous project triggers New Default Workspaces dialog. Fixed: Workspaces now save correctly with the project. Fixed: Tools panel too wide in default editing workspace preset (Windows only). Fixed: Audio tracks incorrectly display as muted after reopening a project. Fixed: Volume issues when flattening some trimmed multicam clip with mono audio. Fixed: Issue where auto ducking keyframes could cause a crash. Fixed: Issues with render and replace audio only (MacOS). Fixed: Playback issues with some audio clips after exporting. Fixed: Audio preferences changes not retained after relaunch. Fixed: Default audio levels for XML roundtrip workflows and AAF exports. Fixed: Waveform display issues, including multicam clips. Fixed: Issues with effects rendering for AAF. Fixed: Issue with importing track volume keyframes in AAF files. Fixed: Artifact issues when using video limiter. Fixed: Interlacing artifact issues when exporting projects with OpenCL renderer. Fixed: Dropped frames when switching from half-res to full-res playback. Fixed: Artifact issues with Kona 4 video I/O when sending HDR images to HDMI monitor. Fixed: Media Encoder now displays all LUT/Look options for rendering. Fixed: Scale to frame size now generates correct aspect ratio for image analysis. Fixed: Issue where Color Match applied color adjustments to last keyframe only. Improved: Color Match now only applies matching algorithms to visible part of cropped image. Fixed: Reference images with transparency no longer show ghosted current image. Fixed: Issues with Basic Correction to HDR images used as reference image for Color Match. Fixed: Ripple Trim Previous Edit to Playhead now displays correct frame. Fixed: Timecode issues with some EDL exports. Fixed: Start Screen objects and UI load time. Fixed: Issue with missing fonts. Fixed: Timecode entry beyond 24 hours. Split your program monitor display horizontally, vertically, or view full images side by side to compare an image before and after color grading. Compare the looks of two different shots across a sequence of shots and match colors while retaining skin tones with a single click. All changes made are visible and accessible to the user and can be manipulated further if necessary. Easily turn the active Lumetri Color effect for a selected shot on or off directly from the Lumetri Color panel. Reset all the Lumetri Color panel selections for a shot with a single click. A better browsing and managing experience lets you universally search and preview Motion Graphics templates from your local templates folder, Creative Cloud Libraries, or Adobe Stock right in the Essential Graphics panel to quickly find the template you need. An improved interface and new controls make it easier to customize Motion Graphics templates created in After Effects, including adjusting the 2D position, rotation, and scale of elements. Edit text layers of the graphic by clicking on them in the Program Monitor. Create more visually interesting graphics using gradients. Click on a shape’s color swatch in the Essential Graphics panel, then choose from Solid, Linear Gradient, or Radial Gradient fill types. Edit the angle of your gradient, color stops, and midpoints directly from the Program Monitor. To replace a template in a timeline with an updated version from After Effects, simply hold Alt/Option +, and drag and drop the new replacement template onto an existing one. You can choose to have the template updated everywhere it was used in a project or limit to one instance. Where possible, your customizations will be preserved. Animate more quickly with the ability to toggle on animation for Position, Rotation, Anchor Point, Scale, and Opacity by clicking their icons in the Essential Graphics panel and then adjusting the property in the panel or by editing the graphic layer directly in the Program Monitor. As you move your playhead, changes you make to the property are recorded as key frames. This new panel inside the Adobe Immersive Environment gives a view of the full sphere of footage and can be used to rotate the current view in the head mounted display. Windows Mixed Reality headsets and controllers can now be used with the Adobe Immersive Environment on Windows. This gives users a broader range of hardware to edit and review VR 360 content.. Enhancements include a streamlined invite process, improved tracking of collaborators, better project management, the ability to view read-only versions of your projects, and more. See more display options in the Timecode Panel and show different information, such as In/Out, Duration, Absolute TC, Remaining TC, and Source TC. Limit your video content to meet broadcast specifications, incl. SMPTE and EBU standards. Use as a per shot effect while working with Lumetri Color, or add as an output effect to limit the entire sequence when exporting. Copy and paste full fidelity Sequence markers when moving one or multiple clips, while preserving all marker information such as color, notes, duration, etc. New formats supported include: camera RAW for Sony X-OCB (Venice), and Canon Cinema RAW Light (C200). Certain clips (1000 fps) will crash if you scrub. Importing FCP XML file fails if it contains a placeholder due to some synthetic item unable to be translated. Double-click clip, in Thumbnail View, will not open in Source Monitor. Extra material required for transitions is not transcoded for partial Ingest. Changing the titler to South Asian and creating a title could cause a crash when attempting to add text. Occasional crashes could occur when importing media from Media Browser with the preview control enabled. What's new with Premiere Pro CC 2017? Collaborate and share sequences and compositions in real time with Team Projects (Beta). 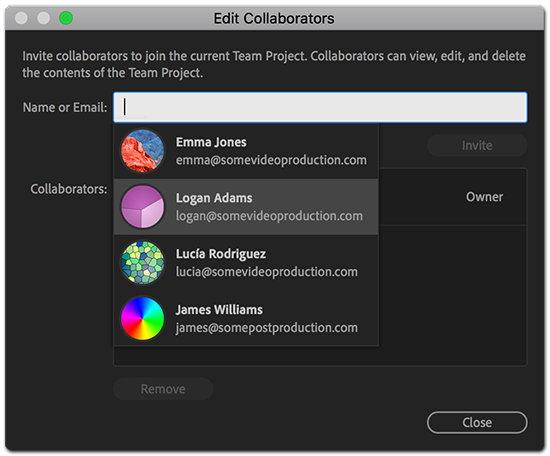 Features like version control and conflict resolution are built right into Premiere Pro, After Effects and Prelude so teams can work better together. Available now for Creative Cloud for teams and enterprise customers. New captions features enable you to manipulate text, alter duration and location, and create open or closed captions from scratch. New color pickers let you make immediate selections when working with HSL secondaries. Plus, you can work with HDR10 files and get better support for color space metadata. Faster performance reduces the need for intermediate rendering and delivers higher frame rates during playback. Premiere Pro automatically detects whether your virtual reality video is monoscopic, stereoscopic left/right or stereoscopic over/under, and applies the appropriate settings. Publish videos directly to your Behance portfolio — no need for separate export or uploading. Eliminate intermediate rendering and speed up performance when working between Character Animator, After Effects, and Premiere Pro. New file format lets you share Live Text templates between Premiere Pro and After Effects without the need for a separate After Effects license. A new launch screen guides beginners through different ways of learning the app, from examining a completed video sequence and following tutorials to an optimized quick-start project template. No need to find missing fonts manually when working in Live Text templates now that fonts automatically sync and update from Typekit. New high-quality real-time audio effects give you better sounding output and improved fidelity. Quickly find, adjust, and customize keyboard shortcuts using a visual map. Stitch multiple clips from your camera together into one file for simpler file management. Work faster than ever before with improved support for Apple Metal and more GPU effects, including Offset. Premiere Pro now supports even more formats, including Native QT DNxHD/DNxHR export and RED Helium. Also includes: New UI elements, global FX mute, and more. The stability of Multi-Camera Source Sequence creation has been improved. Please note that a Premiere Pro project file update is NOT required when updating to this version. Please note that 2015.3 requires an update to the project file format, and as such projects saved in 2015.3 can not be opened in previous versions. 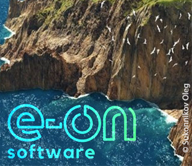 New Media Management features - copy media and edit it during ingest, transcode media on ingest, and generate lightweight proxy versions of RAW/Native files which can be switched to and from with a single click. New Lumetri color panel features - powerful new HSL Secondaries, new SpeedLooks linear looks, support for color control surfaces, enhanced Lumetri scopes and support for monitoring Rec2020 color space. 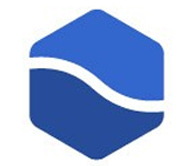 New support for VR Video workflows - enter a specific monitoring mode with equirectangular stitched media to experience the view from inside the sphere. When you have completed your editing – publish to Facebook or YouTube with the correct metadata tags for a 360 viewing experience. A list of issues fixed in this release appears below. • Crashes could occur during export to QuickTime. • Audio overlays for Multicam and nested sequences would only display as audio time units. • Clip name and Timecode filters can now be set to reference and display information for clips on specified source tracks. One of the areas where Adobe has worked hard to improve Premiere Pro is trimming. 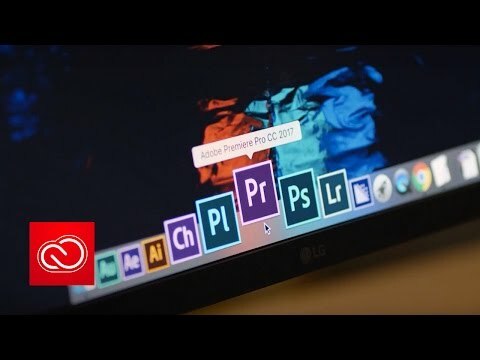 Trimming adjusts the point where two clips touch; this is also often called the “edit point.” With the Creative Cloud release of Premiere Pro, Adobe has added more options and simplified the entire trimming process. Follow along with Larry Jordan as he walks you through the in's and out's! Artbeats and Eran Stern bring you a tutorial showing how to key and composite greenscreen driving plates with scenery in Premiere Pro using Ultra Key and a Track Matte Key. Terry White shows “10 things beginners want to know how to do” about working with Adobe Premiere Pro CC. This is for someone who has never used Premiere Pro before, not the seasoned pros. Paul Ezzy with Boris TV, created this tutorial of the new BCC 9 transition Flutter Cut in Adobe Premiere Pro. Learn how to control the start and end frames, incoming and outgoing frames, add a color, have your footage flutter with another video layer, and add an effect type like invert or monochrome. When it comes time to export out of Premiere, the options and settings can be a little daunting. Daniel Bryant, from Layers Magazine attempts to clear up some of the confusion with his recommended settings for various projects. Larry Jordan shows us how to record a voice over into an Adobe Premiere Pro timeline. The Genesis Project has a couple of UI tips for you to get the most out of your screen and fit your editing style. Explore several ways to display and export Timecode on your timelines and final video exports. Premiere Pro CC makes it easy to work with a multi-cam setup. Let’s see just how easy it is! Want to manipulate time in Premiere Pro? Here are some tutorials to help get it right, with both the built-in time tools in Premiere and with the help of RE:Vision Effects Twixtor. 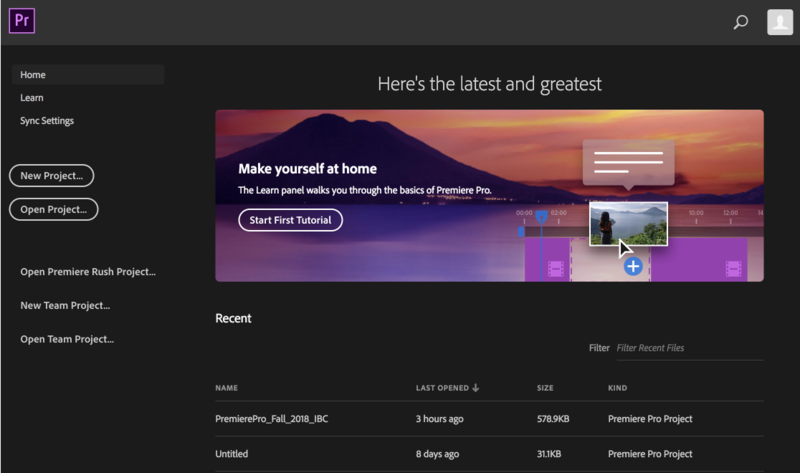 Here are a few videos on the features of Adobe Premiere Pro CC 2015, released today. reTooled.net has a great tutorial up on selective color correction within Adobe Premiere Pro! Want to learn more? Look no further! This tutorial from Adobe gives you some tips and tricks to using the new Optical Flow time remapping feature in Premiere Pro to get the best results. Here's a compilation of several PPRO audio tutorials, from syncing audio to video, to converting stereo tracks to dual mono, and lots in-between. Learn three commands that will make your revisions faster and easier with this Premiere Pro tip! Most editors neglect to develop the technical and organizational side of their craft, ultimately causing huge problems for themselves and their collaborators during post-production. Premiere’s ‘Project Manager’ feature can save the day. Editor Casey Faris shows us how he programmed his PC game controller to be used with Adobe Premiere Pro. Tobias Gleissenberger shows you how to utilize some of the tools built into Premiere Pro, such as the waveform monitor, the RGB parade and the vectorscope, to analyze the color in your video and adjust them accordingly. Burning Question: How do I Work with Proxies in Premiere Pro? Proxies are duplicates of your footage that are lower resolution and make working with big video files smoother. It’s a really easy way to speed up your workflow. Here are a collection of recent tutorials to get you up to speed on proxies. Find out how Adobe Photoshop’s new spherical panorama features are an excellent complement to Mocha VR, inside Premiere Pro, for replacing unwanted objects in a 360 video scene. I’m a big fan of Edgar Wright and one of the scenes that I vibrantly remember that was edited to the beat is the scene in Shaun of the Dead where they’re beating the crap out of zombies at The Winchester Pub while Don’t Stop Me Now from Queen is playing. The scene is brilliant. Then, here are a couple of tutorials for Premiere Pro and Final Cut Pro X to help you edit to the beat. Andrew Devis at DoodleNews.com shows you how to use Time Remapping in Premiere Pro, which enables advanced tools to play with the timing of your shot, in this 2 part walkthrough tutorial. Jim explains, "You can now download Transcriptive 1.1 and try our new Power Search beta panel! This makes it quick and easy to find the timecode for a phrase in a Premiere Pro project." Here's a tutorial to explain more. Premiere Gal shows you how to do a bit of Skin Retouching in Premiere Pro. Retouch and smooth skin in Adobe Premiere Pro with Continuum Beauty Studio. If you work with photographs or still images in Premiere, here are 7 handy tips to make your work easier and less tedious. The Essential Sound Panel gives editors more simple features making it easier to edit audio. The Essential Sound Panel divides audio into 4 common types which make workflow faster and easier for non-sound engineers. We’re sharing a couple of tutorials to get you started with the Essential Sound Panel. Burning Question: How do I know if I have a 6th Gen Intel CPU for Premiere Pro CC 2019 (13.0)? Want to know if your CPU on your computer is powerful enough to run the October 2018 release of Adobe Premiere Pro CC and Adobe Media Encoder CC? Here’s how to know if your computer will run it. In this episode of Short Cuts, Premiere Gal Kelsey Brannan explains how to create a fast and stylized YouTube End Screens with Red Giant Universe. In this episode of Short Cuts, Premiere Gal Kelsey Brannan explains how to use the Glitch Tool in Universe to create a digital TV look with bad reception in Premiere Pro. Burning Question: Keyboard Shortcuts in Premiere Pro for a FCP User? New to Premiere Pro? Customize your keyboard so that it works like FCP! Here are the Premiere Pro keyboard shortcuts that you need to know.